» How to forecast the weather using a barometric altitude! Do you know the trick with the barometer? » How to forecast the weather! Satellite navigation does not only precisely guide planes and ships around the globe, but also makes it easier for mountain bikers and hikers to find their way around. Outdoor GPS navigation has become a part of every modern expedition and the small, powerful GPS devices are being constantly enhanced with more useful functions. GPS is becoming integrated into more and more devices nowadays. 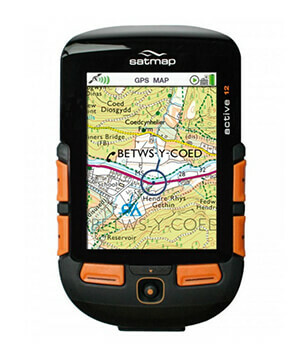 Starting from devices installed directly into vehicles all the way down to mobile outdoor GPS by companies like satmap, bike computers or GPS watches. Depending on what they are needed for, different models feature a variety of different functions. A map and compass are still two of the main pieces of equipment every mountaineer and outdoor athlete, even with the use of GPS. Garmin has been the specialist for mobile outdoor GPS devices since day one. This experience really flown into their devices. Waterproof and impact protected housing are combined with anti-reflective touchscreen displays and clearly organised menus. Thanks to the huge selection of available maps, the Garmin GPS range is just as interesting for hiking and walking as it is for mountain biking and geocaching. Watch specialists Suunto on the other hand have managed to create GPS watches for the smallest space on the wrist. Though the display does not show digital maps, it can give you your exact location, position and altitude, which makes these wrist GPS devices incredibly useful. These small GPS devices can also quickly transmit their recorded tracking data to a computer without a hitch. Waterproofing and impact resistance also make them perfect for mountaineering and Alpine activities. GPS devices and digital maps support hikers, bikers, and mountaineers - before, during and after their tour. In preparation, certain routes can be worked out and navigational points can be determined that will make things a whole lot easier when out in the terrain. The collected data is presented as clear graphics on these small devices, which makes it possible to more precisely read routes, distances, speed, breaks and altitudes. This means that GPS devices not only help with navigation, but also make it possible to fine tune your own performance and to optimise your training. The touring data can of course be transferred to an computer and then read off a larger screen. You can also use the computer to plan and prepare for your next tour, then transfer the data to your GPS device. Depending on the model, GPS devices can be provided with different power sources. Aside from standard battery operation, you can also get high performance rechargeable batteries to use in the devices. All hikers should therefore either always bring spare batteries, rechargeable batteries or get a solar charging device for multi-day tours. When the display is constantly in use, as is normally the case with things like geocaching, the battery life can reduce much more than if it were just being used to occasionally check a trekking route and the device is otherwise just recording touring data.